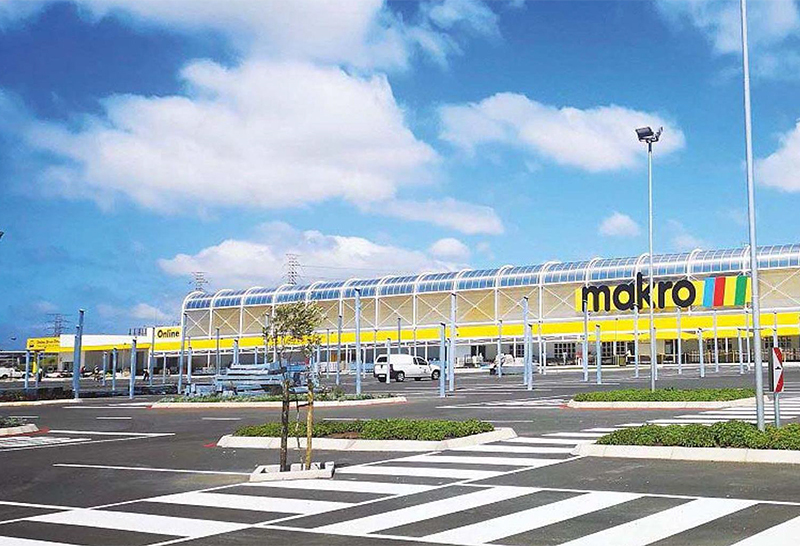 The cynics will call it another big shop and one we probably don’t need, but commercial developments like Makro’s new store at Cornubia can have interesting, often unreported side shows, writes Greg Arde. It seems a bit passe these days to crow about your whopping big retail development with a party and a thunderous statement about the impact your multi multi million rand investment means to the local economy. The new Makro store in Cornubia opened in March, although the press release is coy about how much was pumped into that money pit. Massmart delicately says it will be 19 000m2 on a 6,3ha site. The company statement has the typical verbiage about “excited shoppers in search of savings” and great deals in departments as diverse as multi media centre and office supplies. With a monster store already in Springfield Park, Massmart must have faith in the economy. But apparently, the folks from Phoenix, Sunningdale and Mount Edgecombe need closer convenience of online drive through, a frozen section, money centre, and a Mugg & Bean. It promises to be a wow, including the fact that 100% of the store’s lighting is LED, in addition to the 250 skylights that will illuminate Makro‘s fully packed shelves during the day. The parking lot like in Springfield Park will be shaded by solar panels. This is beyond warm and fuzzy. There’s no gainsaying the economic benefits of investments into Cornubia. Two years ago sceptics were shut up when lnvestec pumped R1,8 billion into its 66 000m2 shopping centre and blue chip tenants like Woolworths, DisChem, Checkers and Pick n Pay rushed in, creating hundreds of jobs. 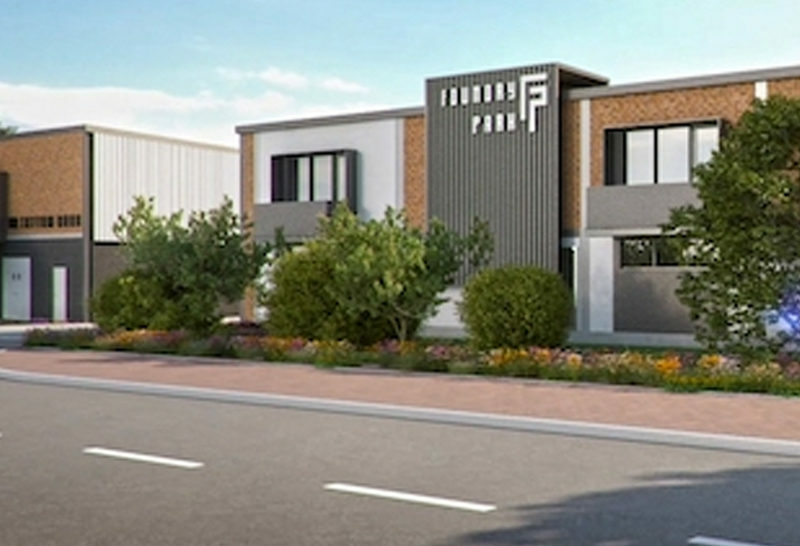 The popularity of the retailer has been matched in Cornubia‘s business park which is home to huge firms like Hirt and Carter and others showing a keen appetite to relocate there. Government is taking Cornubia seriously. 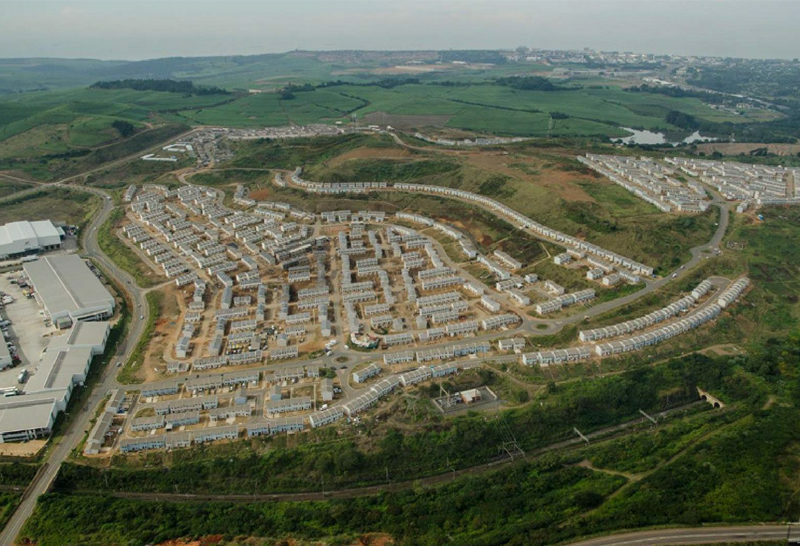 It is 7km from the King Shaka International Airport and 17km from the CBD. 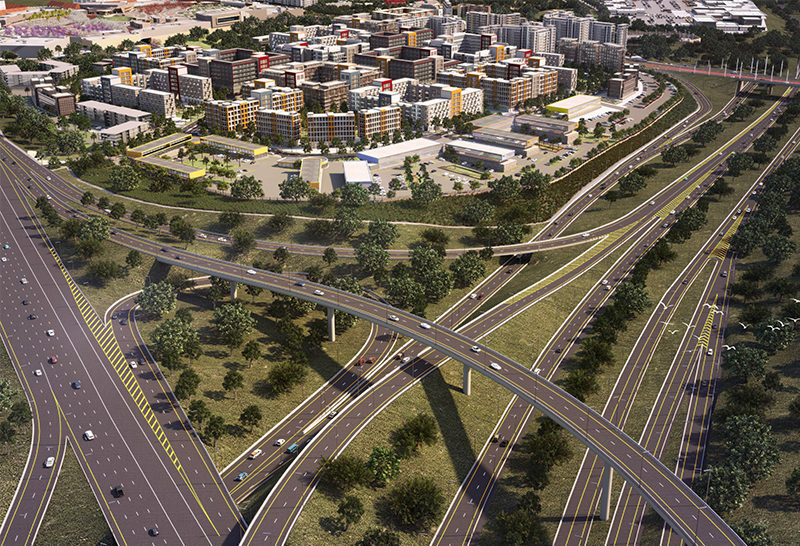 The new freeway interchanges and bridges across the N2 from uMhlanga into Cornubia have made access a breeze. 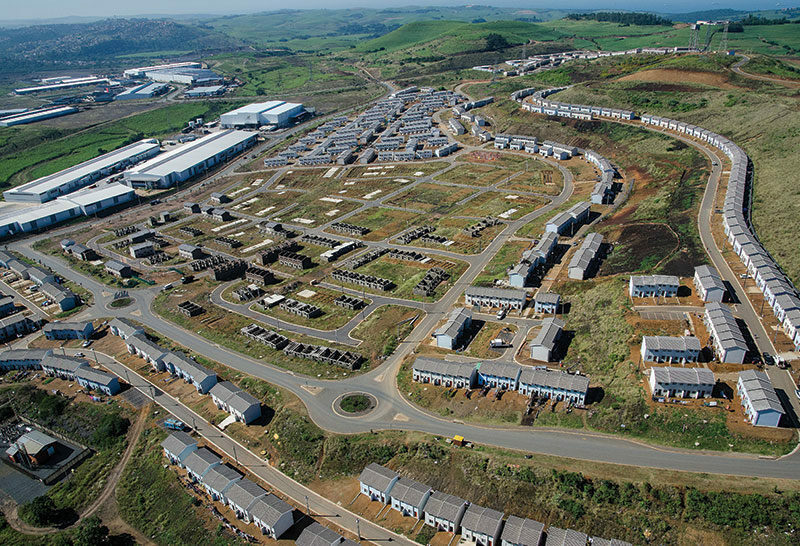 The partnership with Tongaat Hulett Developments(THD) will eventually unlock an integrated, mixed use development of business and residential nodes that will be worth R25 billion to the national economy and create 45 000 jobs in 20 years, THD says. Among those employed will be the folks working at Makro, and according to Massmart, 54% of staff are local. And now for the lesser known story, the interesting sidebar. Makro is pumping an undisclosed amount of money into early childhood development centres, creches and four primary schools in the area. 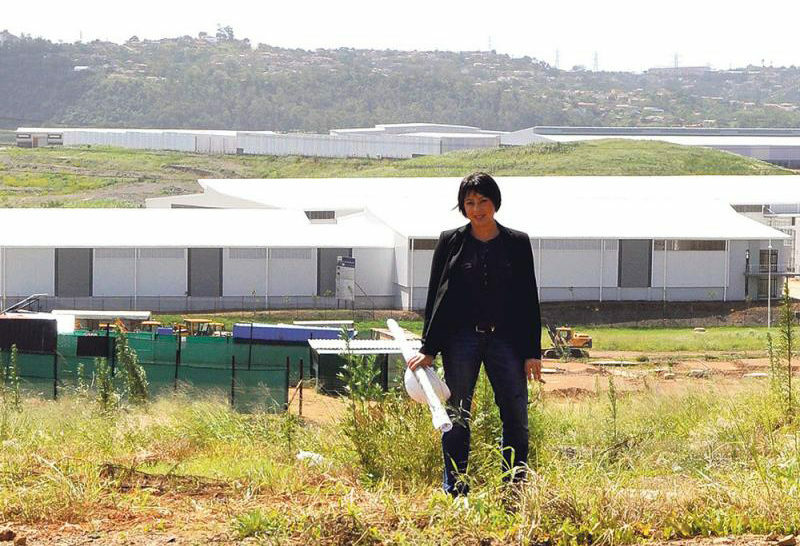 Makro‘s Farzana Sonvadi says a tour of the area ahead of Makro‘s involvement was heart wrenching. Children at many schools were squashed five to a desk, which prompted her to source 3 000 lap desks inscribed with useful information relating to literacy and numeracy. Farzana says Makro spends 80% of its corporate social investment budget on early childhood development ECD and has partnered with Hopewell Wide, a national charity that runs 138 ECD centres around South Africa catering for 10 000 children a day. She said that in addition to running established ECD centres, they incubated others, helped certify their kitchens, made their play areas safe, and guided them towards qualifying for funding. The charity trains teachers and buys toys and books and other learning material to stimulate the minds of children in the crucial first 1 000 days of life. Makro was also in the process of setting up a mobile library at Solomon Mahlangu Primary in Cornubia, run by Kevin Sevlall, a principal she said was worthy of a medal. “There isn’t a library to be found for kilometres, so we are helping the principal by setting one up. It will hopefully help him in his mission to create a passion for learning. Kevin told The Ridge he has been a teacher for 36 years, of which 26 had been as a principal, always in disadvantaged schools. “This is a very poor community that relies on the surrounding businesses for jobs. The people here are struggling to survive. Ours is a no fee school for 1 015 pupils in a temporary structure that was set up in the low cost housing area in 2015. We have been promised a permanent structure in three years. At the moment we operate in 20 mobile classrooms. “Makro is going to give us a mobile library with staff from April, and this donation is a blessing. The library will also be open to the community after hours. When you get different people involved you create an interest in reading. Reading allows you to question and develop your critical facilities. It makes you productive and helps you in all walks of life.” “The opening of Makro adds further impetus to the vision of establishing Cornubia as an all inclusive multi use economic and social development partnership, substantially reinforcing the existing business hub and industrial and business estate precincts,” says Michael Deighton, managing director of THD, who had nothing but praise for the Makro development. “Economic participation and social cohesion requires both the short commuting distances facilitated by inclusive spatial planning and further deliberate interventions to link communities and business. “Both Makro and Fortress, as the developers, have shown noteworthy commitment to the vision for Cornubia, including local employment, as well as local enterprise and social development,” Deighton said.